Get fast, reliable and easy to use Wi-Fi in thousands of UK locations with Sky WiFi — connecting you to The Cloud. 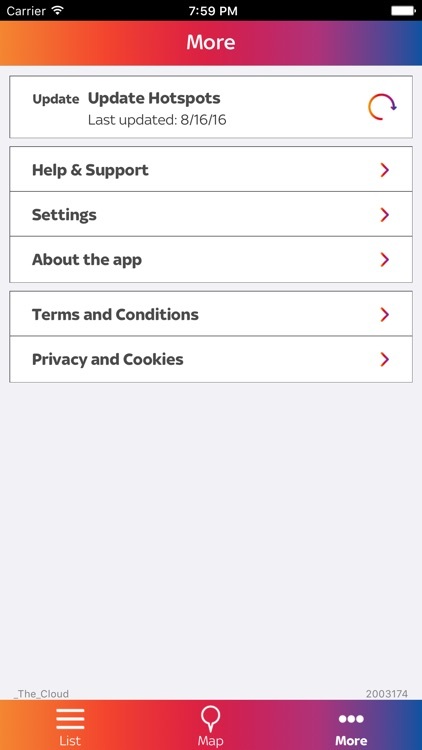 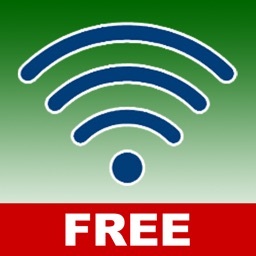 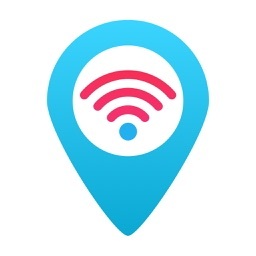 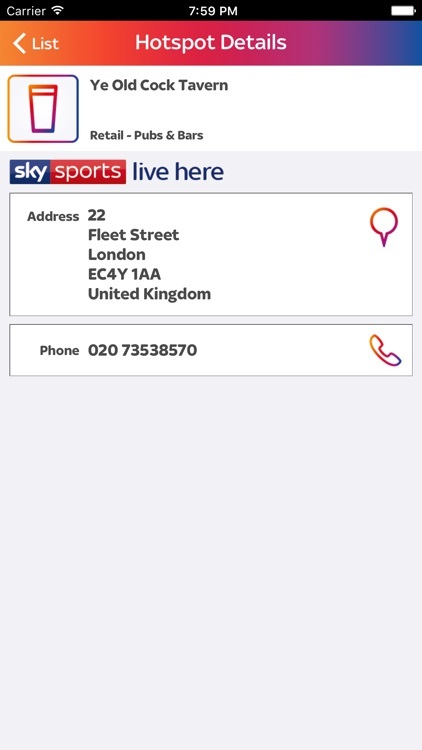 With the Sky WiFi Finder app, you can browse local Wi-Fi hotspots, and even see which hotspot venues have Sky Sports as well as great Wi-Fi. 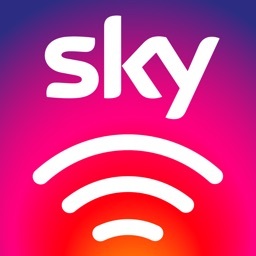 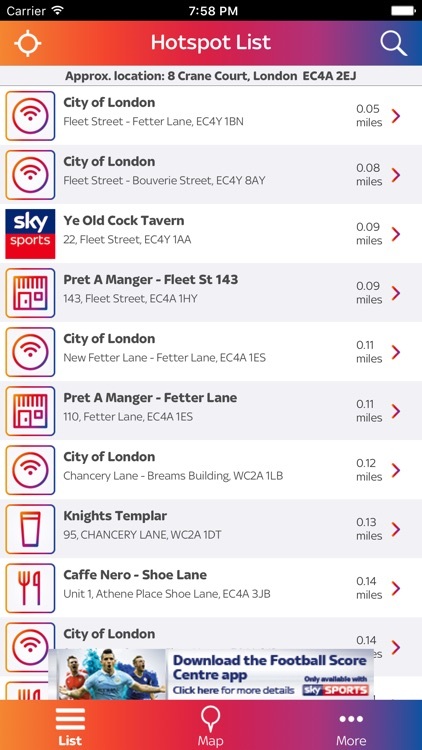 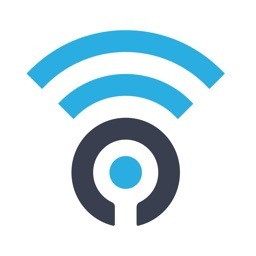 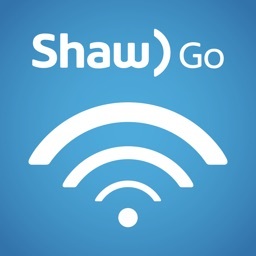 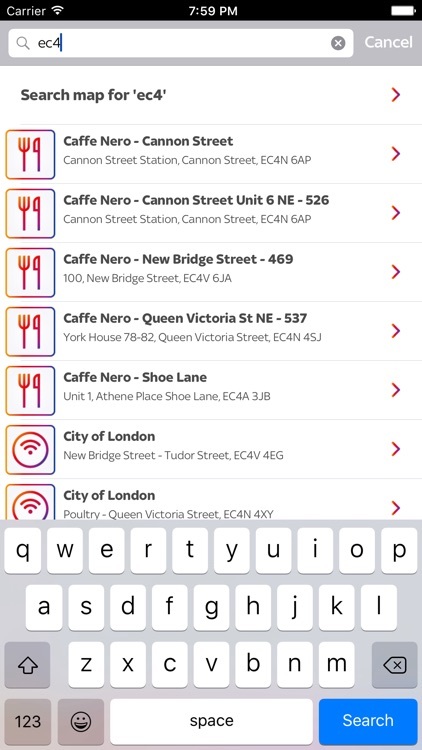 You’ll find Sky WiFi in a variety of different places — so whether it’s your favourite pub, high street stores, train stations, hotels or your local coffee shop, you can save on mobile data and connect with ease today.